Rashidan and her husband have always wanted to provide a quality life for their four children. 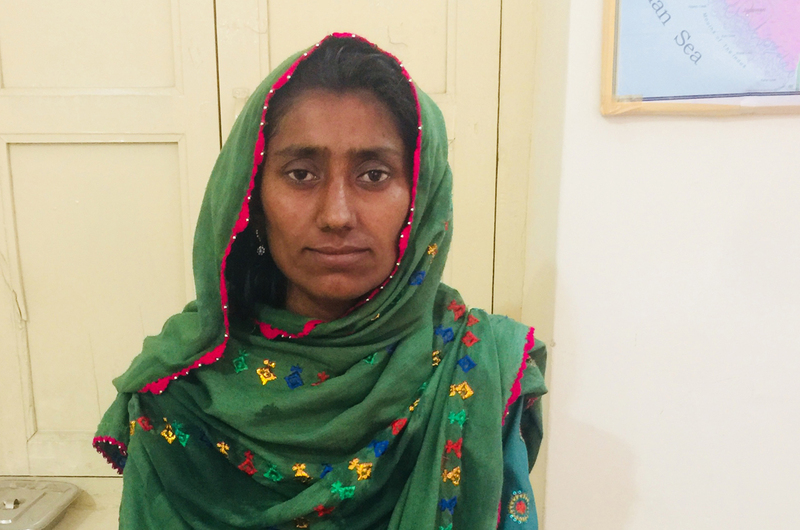 A stay at home mother, looking after her children, feeding them and making the most of their menial income, Rashidan had always remained optimistic and full of life for her family. However, with Rashidan’s repeated pregnancies and subsequent miscarriages, her health started deteriorating, restricting her from being the happy and energetic mother that she had always been. Thirty-five old Rashidan is married to Ramzan, together they live with their four children in village Ranta located in District Sujawal in the Sindh province of Pakistan. Whenever health needs would arise, Rashidan and Ramzan would travel to the city hospitals in Daro or Sujawal; both almost one and a half hour away from their village, Ranta. The round trip to the hospital, including the medical expenses, would typically cost them PKR 2000. I suffered two miscarriages after I had my youngest daughter. My husband took me to the city hospitals. We could not afford the regular treatment there or buy medicines due to which my health worsened. In May 2017, I had another miscarriage (third), this time I visited the Maternal Neonatal Child Health Center (MNCH) set up here in Ranta. I was in severe pain and was bleeding all night. The lady doctor at the MNCH conducted a thorough check-up of me and diagnosed me with anemia. After she conducted an ultrasound, she informed me that I had lost my third child, who was eight weeks old. I realized then that I had experienced three consecutive miscarriages due to being anemic. The doctor prescribed medicines to me, including pain killers, intravenous fluid (IV) and vitamin B complex injections. She also advised me to take complete bed rest for three days. I went back to the MNCH after three days for a check-up. After an ultrasound, the doctor affirmed that the report was clear. She further prescribed iron and multivitamins tablets to overcome my weakness. After a week of letting Rashidan rest, the lady doctor provided an awareness session on family planning to Rashidan. I was not familiar with the concept of child spacing before. I have been taking tablets for child spacing for almost 10 months now. My hemoglobin (Hbg) has improved considerably. My health has become a priority after the tragic losses I have experience. I want to be healthy for my children and family. It is great to see that the MNCH is providing primary healthcare and the staff is very cooperative and responsive. The facility of ultrasound has brought ease in our life, especially for pregnant women here in Ranta. It is very expensive to avail good health services at city hospitals. Most of us here in the village live in poverty which is why many of us ignore the importance of good health. We have mostly relied on finding traditional remedies which is not enough in many cases. The affordable services at the MNCH are continuously providing effective treatment to many mothers and children in Ranta village.